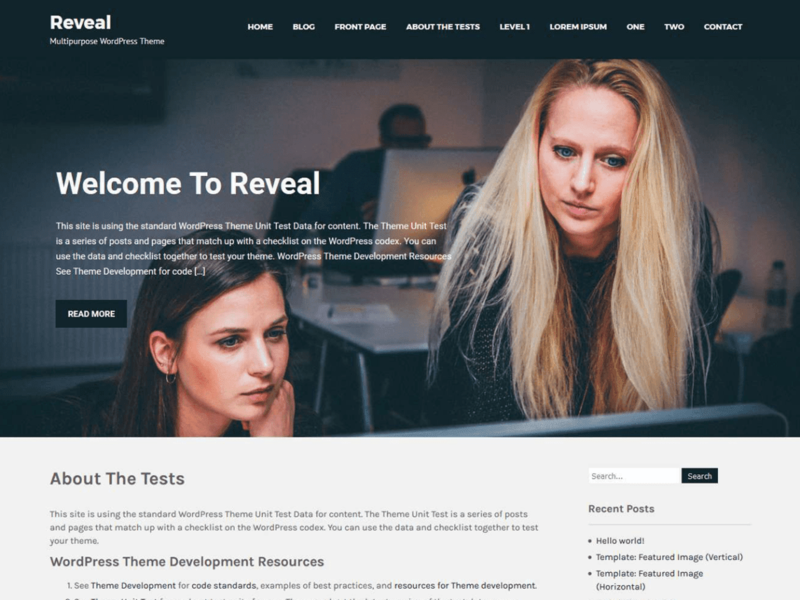 Reveal Lite is a multipurpose responsive WordPress theme created for corpotate, business, organisations and more. This theme has some options given in customizer with image slider options to create decent website for your business. This theme is fully responsive and working with all the resolutions also it is compatible with some major browsers like safari, firefox, chrome etc. This theme is compatible with the latest version of WordPress and the plugins like woocommerce and contact form 7.